SHELBY The town of Shelby has the distinction of being the first town in Shelby County to have railroad facilities with the Chicago, Rock Island & Pacific Railroad reaching the town in 1868 and extending to Council Bluffs in 1869. The first building to be built in Shelby was the section house of the Rock Island Railroad company. It was built near the beautiful stream known as Silver Creek. B. F. Allen originally platted the town in 1868, who purchased land from James Hawkins, who in turn received this tract of land for services rendered in the Mexican War. The village was incorporated in the fall of 1877, the first mayor being John W. Harrod. Downtown, a vintage 1932 Antique Coke sign restored in 1986 adorns the side of a local business. Shelby is the boyhood home of Clyde Williams, an All American athlete. The Historical School Building has been preserved and renovated to house 34 Apartments, which was filled within several months of opening. The old Telephone building is being refurbished and there are hopes it will become a museum sometime in the future. The Shelby Depot has been preserved and restored and is now a beautiful facility which can be rented for events. When you visit you can find beds available at the Shelby Motel and at the Pryor House Bed & Breakfast, a restored Victorian mansion. 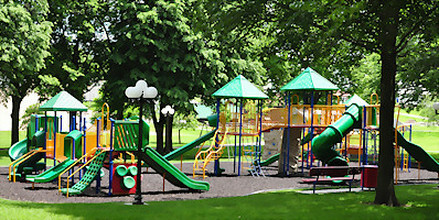 The refurbished City Park is utilized for Shelby Days a great opportunity for the children to enjoy the bounce houses and games, Softball tournaments and 3 on 3 basketball competitions. 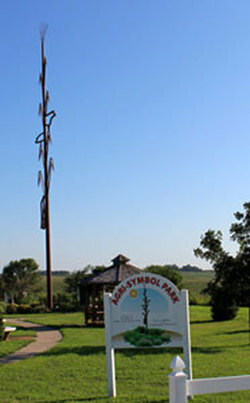 Art in the Park is a future plan for the event. Revitalization of Main Street is in the planning and a new home and new business incentive grant program has been established by the current City Council and Mayor. Shelby is fortunate to have dedicated spirit of volunteerism evident in our efficient Voluntary Fire Department, with 28 members on board. The Friends of the Trail Committee work with the City to maintain the Trail and Depot. The Community Club raises funds to sponsor scholarships to graduating High School Seniors. The American Legion and Auxiliary support the community and hold its annual Memorial Day Service at the Shelby Cemetery. The Cemetery Committee maintains the upkeep. Shelby is the Purple Martin Capital of Iowa! Shelby has an unusual attraction — a time capsule. The "Centennial Time Capsule" will be opened on July 16, 2020. It is located in Shelby Park near the intersection of Center Street and West Street. The capsule was sealed on July 16, 1970 as part of Shelby's centennial celebration. This new program will offer additional incentives to the Shelby County-wide program. 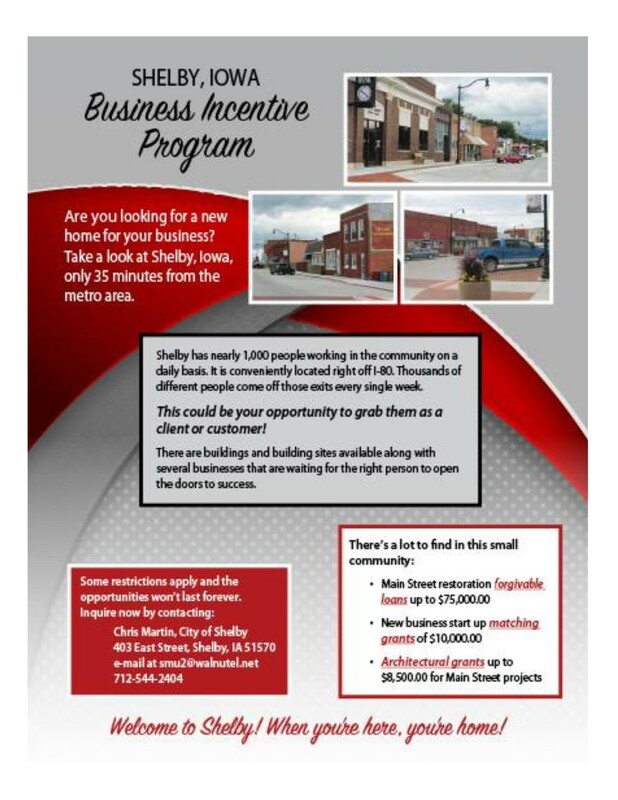 Information can be viewed at Shelby Business Incentive Program. 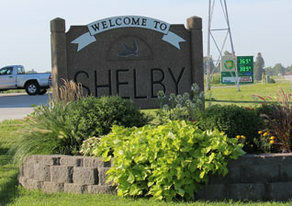 Shelby is home to over 40 businesses and features several large employers. They include Con-Way Trucking, Midwest Manufacturing/Menards, and REM-Leadway. 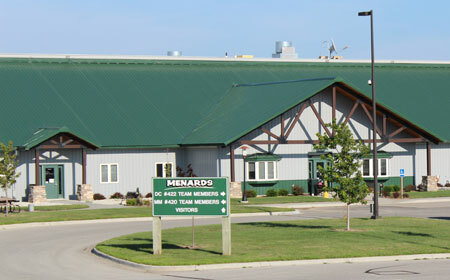 In 2007 the City of Shelby saw huge growth when it became the home for Menards Distribution Center, as well as Conway Transportation Dispatching warehouse. In 2014 Loves Travel Center Opened with McDonald’s, Chester’s Chicken, Convenience Store and parking for 92 Tractor Trailer Parking as well as a Tire Repair facility. The Corn Crib restaurant is known for its Hot Beef Sandwich. It is also the home of the Corn Stalk Restaurant, The Lodge Bar & Grill on Main St as well as Newt’s tavern. The Shelby Vet Clinic recently doubled its size and employs 13 employees including 4 full time Veterinarians. Shelby is also fortunate to have Myrtue Medical Clinic, which is open daily. 1997 Hall of Fame member Clyde Williams left a lasting legacy at Iowa State University and the University of Iowa. Williams was the University of Iowa’s first All-American and quarterbacked the Hawkeye to undefeated seasons in 1899 and 1900. He is a member of the University’s Athletic Hall of Fame. As a head football coach at Iowa State University, he was the first to implement the overhand pass and the running punt. Williams tallied a 33-14-2 record before he became ISU’s athletic director in 1913. He started ISU’s basketball program in 1907, coached the Cyclones until 1911, and acquired funds to build an athletic field (later named after him) and gymnasium. ​Travel back in time to an 80-acre working farm exhibit, featuring the machinery, tools and primitives of an authentic late 1880s farmstead. Located near Shelby, it recreates a rural life when threshing, saw milling, baling, and corn chopping were all done without the modern machinery available today. All of the chores performed on a turn of the century farm are recreated in and around the 14 buildings that make up this magnificent farmstead. The first weekend after Labor Day is the Farmstead Open House, with Quilt exhibits, crafters, antique tractors and cars. The Home is open to visitors to view the lovely home built in 1880. 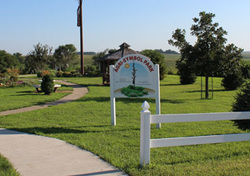 The farm is open on weekends during the summer and fall. 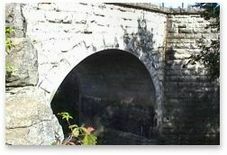 ​An 1883 report by the Chicago, Rock Island & Pacific Railroad listed only four 30’ arch culvert bridges and the Shelby bridge was one of them. It was the first railroad structure built in Shelby County. Most Iowa railroad bridges were wood or timber, but limestone for the trestle was believed to come from a quarry in Earlham, Iowa, not far from the railroads main line in that area. The 4 mile nature trail crosses over the Stone Arch. The Old Stone Arch Nature Trail is the host of the June 5K and October Zombie 5K – both certified races. The Trail is used not only by visitors to the area but its residents as well. ​Shelby is the Purple Martin Capital of Iowa earning the designation with the communities’ efforts to use ecologically sound method to control mosquitoes by placing over fifty martin houses in the community. Annual event complete with games, rides, entertainment, and refreshments. 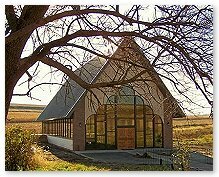 Iowa's only glass chapel - Willow Creek invites visitors to come and experience a rustic, country retreat just a short drive from the Omaha/Council Bluffs metro. Surrounded by trees, native grasses, and flowers, Willow Creek will take your breath away from the moment you step onto the property. Some of Iowa's prettiest rolling hills provide the background for helping create memories that will last a lifetime. ​The Shelby Rock Island Depot is being refurbished to its original state. 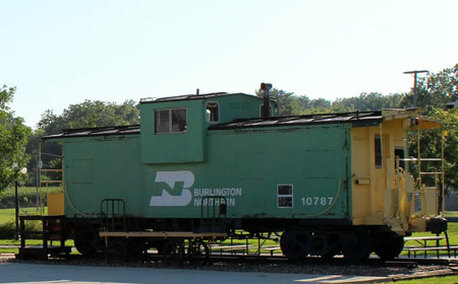 The Depot will be used as a Visitors Center and Museum when completed. The Pryor House was built in 1893 and lovingly restored in 2011 by Tom & Pat Honeywell. Prior to it’s restoration, the house was home to local teachers. Owned by the local school district it was called “The Teacherage housing local educators of Shelby school district. Unique to this B&B is that they provide bikes for use on the 6.2 mile Stone Arch Biking and Walking Trail - a beautifully designed trail meandering though the middle of town and into the country. The Pryor House is just 5 blocks past the City Park. Shelby's Park is centrally located and abuts the Stone Arch Nature Trail. This large park provides for several activities. Having a large playground and several shelters with grills for picnics and family outing.